Welcome to our practice website. We congratulate you on taking the first step toward better periodontal health.  At Steel City Implants & Periodontics your smile is our first priority. Please utilize this website as a resource. It will help you better understand your course of treatment and answer any questions related to periodontal and implant therapy. Dr. Kivus is a specialist in periodontics with services in implantology. They specialize in conservative and surgical treatment of gum disease including cosmetic procedures to aesthetically enhance your smile, as well as dental implants that can replace single or multiple missing teeth. Although no one likes to go to the doctor or dentist, we strive to make your visits with us as comfortable and pleasant as possible. We strongly believe that our patient’s comfort is an important part of quality periodontal care. Dr. Kivus believes that your right to choose a dentist is an important freedom. We work closely with your dentist, but a referral by a dentist is not required to visit our office. We also welcome referrals from patients and friends of the practice. Our goal is to make you feel comfortable and relaxed. We are here to listen to your questions and concerns and to help provide solutions leading to your better health. Please don’t hesitate to e-mail us if you have any questions regarding your care, or call us at (205) 823-3461. Our fax number is (205) 978-3752. By choosing a specialist you will benefit from the latest procedures for treating periodontal disease and placing dental implants tailored to your needs. In addition, Dr. Kivus can perform cosmetic periodontal procedures to help you achieve the smile you desire. Your referral slip and x-rays from your referring dentist. This information is often emailed from your dental office but if any information is given to you, please bring this with you. Your initial exam should take approximately one hour. Dr. Kivus is available Monday through Thursday from 8:00 AM until 5:00 PM and Friday by appointment. We will schedule your appointment as promptly as possible. Please allow approximately 60 minutes for your initial visit. If you have pain or an emergency situation, every attempt will be made to see you that day.